Leave it to The Flaming Lips to take one of my least favorite Pink Floyd songs and turn it into an obsession. 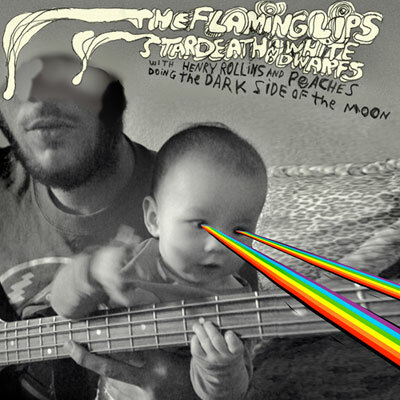 The Flaming Lips reinterpretation of Pink Floyd’s legendary Dark Side of The Moon is out now. This entry was posted in Obsessions, Spanking New Music and tagged dark side of the moon, money, pink floyd, the flaming lips. Bookmark the permalink. The amazing Flaming Lips have reinterpreted Pink Floyd’s classic album ‘Dark Side of the Moon’, and quite a sterling job they’ve done of it too. Now it’s the turn of those old rockers to do the same for the Lips best selling record ‘Yoshimi Battles the Pink Robots’. It’s not as if anyone actually listens to an obscure artist such as Pink Floyd, after all. But The Flaming Lips have showed us once again that they are on the cutting edge; they have graciously plucked this album from obscurity and set atop a world stage.